If fate sent you an email, would you answer? When teenage movie star Graham Larkin accidentally sends small town girl Ellie O'Neill an email about his pet pig, the two 17-year-olds strike up a witty and unforgettable correspondence, discussing everything under the sun, except for their names or backgrounds. 4.5 stars for the Book and 5 stars for the Narration. This plot is every teenage girl dreams come true! Who didn’t dream about dating a superstar back in the time? I know I did, and the circumstances of their encounter are the perfect meet cute, and totally in synch with today’s technological and social media dependant world. Plus, I can’t help to gush over Graham’s absolutely romantic grand gesture. I would die if a movie was set in a particular place just so the star could be near me! It was great that the story wasn’t only focused on the romance part, but it also has an intricate subplot that I wasn’t expecting. It captured marvellously the hell celebrities and public people go through with paparazzi, it’s just awful. The only downside to the plot is that once all the elements are put into play, its development is too predictable. It’s so easy to see what’s coming next, but it is still oh so enjoyable to attest. I loved that the author was focused on showing a different face to fame, and that it portrayed accurately how lonely and hard a celebrity’s life could sometimes be. I’m not a Britney Spears fan, but it sort of reminded me of her song “Lucky”. That being said, what stands out the most with these characters are their relationships. How they are intimate but fragile. How they aren’t perfect. But my absolute favourite character was Ellie. She was so responsible, but it was easy to the teenage in her. It was just so simple to relate to her. I was rooting for her all along. Whenever we get two narrators the gender role problem disappears. We have a clearly identifiable voice for each character. Nevertheless, they did have to play the other characters voice, even if it was for a brief a moment, at times; and both, Andrew Sweeney and Marcie Millard, did a great voice. I barely noticed it wasn’t the same voice because I was deeply involved with the story and their representation was good. It wasn’t the same of course, and at moments it was a bit weird that the voices changed a bit, that’s the downside of having two narrators. But they still made it work. I have to praise them both, because I felt they truly captured the essence of their characters, they sounded like two teenagers. They made the story come alive, and it was beautiful. This is What Happy Looks Like is very sweet and has all the ingredients of a romantic comedy. The story is familiar- movie star falls for an everyday girl- but it’s still a charming read. The email correspondence “meet cute” had me rooting for this unlikely pairing from the beginning. There’s also family secrets, friendship drama, financial woes, a movie shoot in small town Maine, paparazzi, a beagle named Bagel, and Wilbur the pet pig. 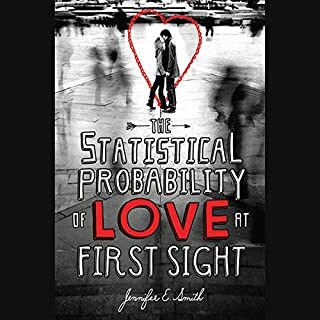 Sadly, I wasn’t totally swept off my feet by Happy the way I was with Smith’s The Statistical Probability of Love at First Sight – maybe my expectations were too high? But I was entertained nonetheless. I liked the dual POV in Happy, and Ellie and Graham both have interesting problems they’re dealing with. Ellie is hiding a big family secret, and working like a dog to pay for a summer college course. And Graham is coming to terms with his celebrity and where he wants to take his career. It’s cute that the girl who doesn’t want to be photographed falls for the guy who is always trailed by paparazzi. The two meet over email and there are many email exchanges in the book, and that was a bright spot for me. The writing, plot and characters are pleasant and there are charming details in the Maine setting. I just was missing that oomph and wow factor in this one overall. 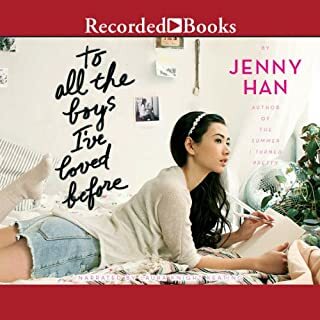 I think that this book will appeal to fans of Sarah Dessen- the writing, setting and overall tone of the book reminded me a lot of Dessen’s books. The romance is innocent, and the story touches a lot on family, finances, and friendship. I listened to the audiobook, performed by Andrew Sweeney (Proxy) and Marcie Millard. 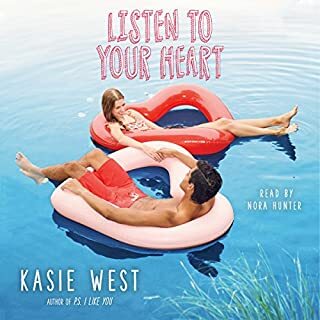 Once I found out that email exchanges were used so much in the plot, I worried that the audiobook would be a bad call. (Sometimes having email addresses and dates/times spelled out over and over can get repetitive.) But, happily that was not the case and I think the audio actually made the story more enjoyable. The pacing and tone worked well, and the voices were a match to the characters personalities. 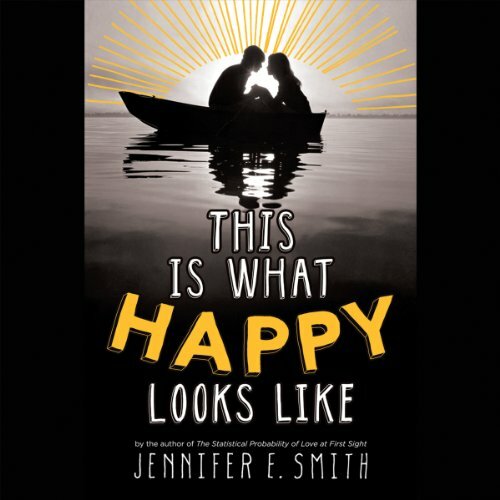 This is What Happy Looks Like is a sweet comfort read that all ages can enjoy. It doesn’t break new ground in contemporary YA but it’s a nice breezy read, if a little forgettable. Previous to this book I had read Smith’s “The Statistical Probability of Love at First Sight” and enjoyed it. 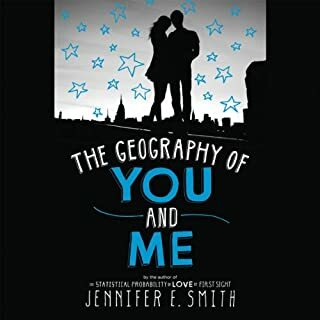 This was a cute contemporary fiction romance. It was decent but ended pretty open I know there is a follow-up novella that is supposed to tie things up better. 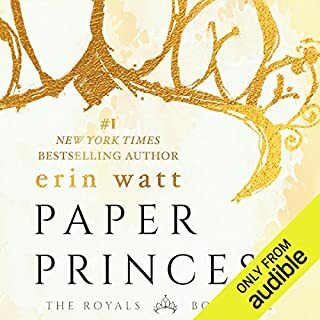 I listened to this on audiobook and it was well done. They have different narrators for the parts told from Ellie and Graham’s POV. The main theme running through this book is fame and how people deal with it. Ellie and her mom had their life ruined by fame and publicity early on. 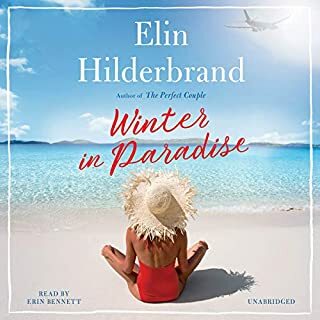 Then Ellie finds out that the mysterious boy she has been talking to is a famous actor and is reluctant to get involved in the paparazzi circus that caused her family so much pain years ago. I did find the topic of dealing with a sudden rise to fame kind of interesting. Watching how Graham’s sudden rise to fame has changed his life is thought-provoking and sad. That was probably the most interesting part of this book. Most of the book is just the romance between Ellie and Graham and how they have to struggle to make their situation work. In the end it was an okay read but kind of boring at points. There isn’t much resolution to the story either. It does end in a fairly realistic way that does make you feel somewhat positive. Overall this was an okay read. I liked some of the talk about fame and how it affects people. The chemistry between Ellie and Graham was good but not fantastic. It was a quick read that I enjoyed. However, I feel like Stephanie Perkins writes books that are very similar in style and I always enjoy Perkins books a lot more. Extremely well written. Enjoyable for any age and not just YA. Sweet and charming story. Better with each reread. Not a fan of the female actor! Storyline was really eh. The female actors voice drove me crazy! She sounded so much more mature than the character, and made the storyline sound kind of silly!